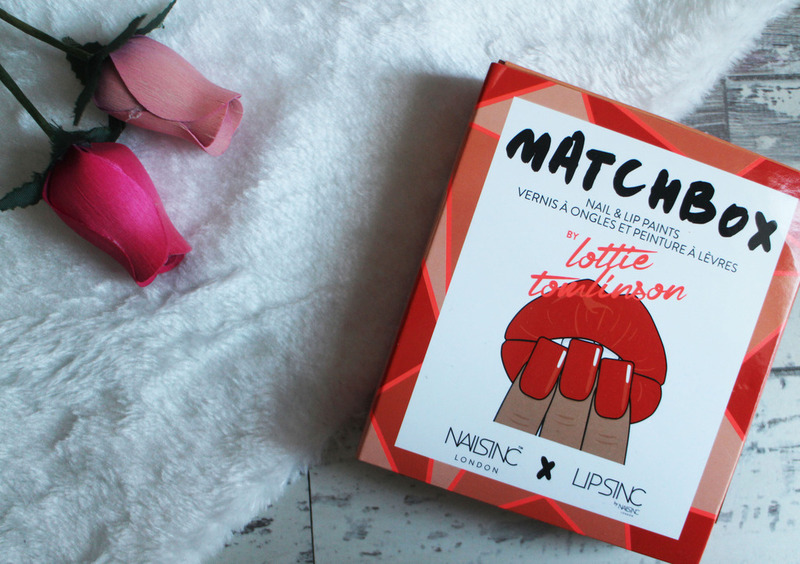 The Matchbox Nail and Lip Kits are a collaboration between Lottie Tomlinson and Nails inc. If you don't know who Lottie Tomlinson is, she's a beautiful make up artist and also the sister of Louis from One Direction. It's very rare that my nails and lipstick match but when it does happen, i love it! It's almost like that feeling of satisfaction you get when your underwear matches so i think the idea behind these Matchboxes are amazing and from what i can tell there is a quite a large range of shades but id be quick about it because the Nails Inc website says they're limited edition. 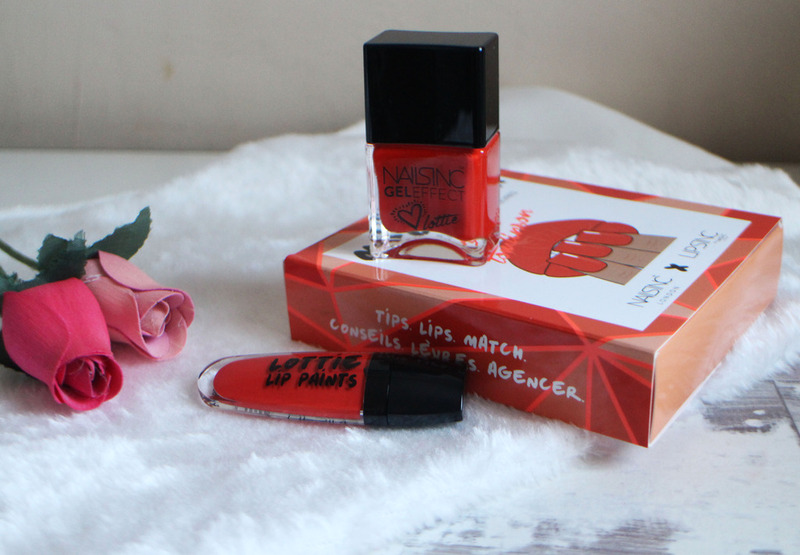 I have the shades Rascal/Hell which are both orange toned reds - it's not normally a shade of red that i would reach for but it's actually really nice and i feel like it's quite the perfect summery shade as it's nice and bright yet still very classy looking. 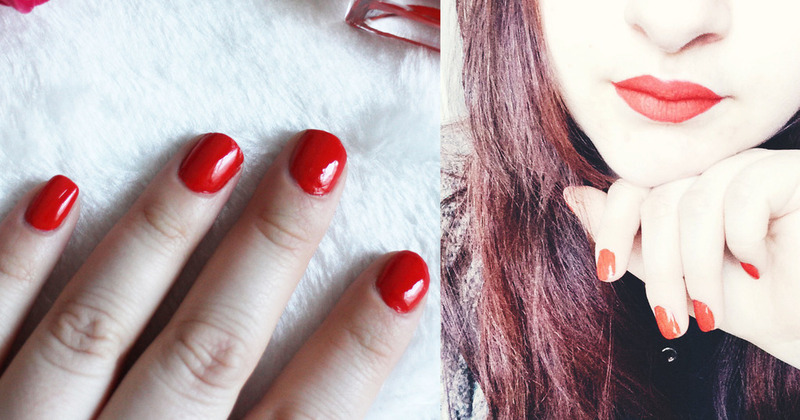 Excuse this quite over exposed photos showing you the lip and nails together - i was having a bad hair/face day so i made the colour the focus but it gives you enough of a idea. The Nails Inc Gel Effect Polish in Hell is really lovely - i love wearing red nails anyways and this is such a nice nail polish. It applies really easily and didn't take too long dry either. It has the a really lovely gel effect finish, so it gives them quite a professional look to them. I did wear a base coat and a top coat which is recommends - i find this does prolong the wear of my nails for a little bit longer but my nails polish never lasts me because i have quite a physical hands on job so my nails get battered even when I'm not wearing polish so i did get a few chips on my nails at work but i think if i wasn't working in between wears, it would last for a pretty good amount of time. The lip paint in Rascal actually quite surprised me, i don't know why but i almost expected to dislike it but it was really smooth and creamy. It has really good pigmentation and takes so little effort to get a full opaque lip and it also dries matte. I've not worn this through eating or drinking so i can't fully comment on how well it lasts through that but generally i find it stays on my lips ages without needing a top up. I'm actually quite impressed with this; they do retail for £15.00 which is quite steep but if Nails Inc Polish retail for £15 anyways so you're a nail polish and lip paint for that price. They have such a good range of shades, i really like the look of Babes/Mint. 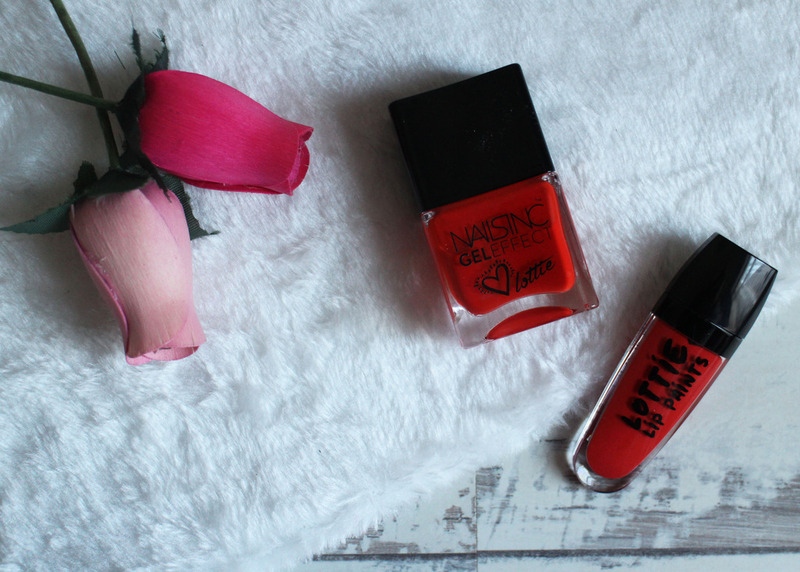 Have you tried any of the Matchbox Nail & Lip Paints by Lottie Tomlinson? Those shades look great on you lovely, I've never been a fan of red nails I just don't think it suits me, I do like a red lip now and then though. Aw thank you! 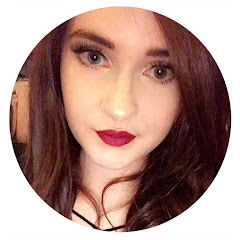 I tend to wear much darker shades of red so i do feel a little alien but its nice to change things up!